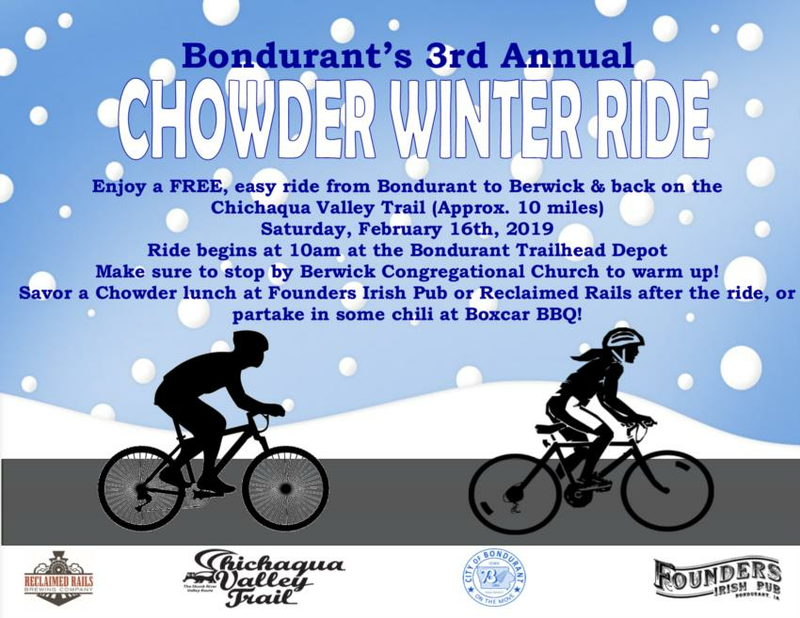 Join us for our 3rd annual CHOWDER Winter Ride! Start at the Bondurant Regional Trailhead Depot and pedal down the beautiful Chichaqua Valley Trail 5 miles to Berwick. Once there, enjoy some delicious hot chocolate and warm up at the Congressional Church. 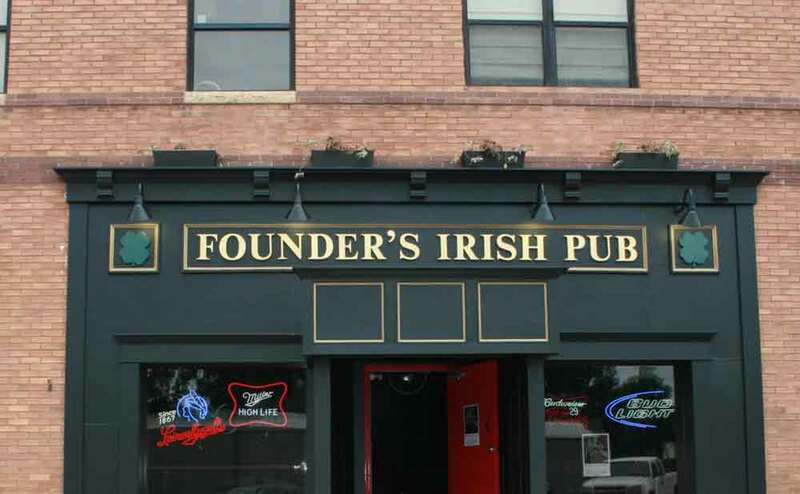 When you're ready, head back up the trail to Bondurant and enjoy a yummy chowder lunch at Founder's Irish Pub or participate in the Chili Cook-Off at Reclaimed Rails Brewing Company! 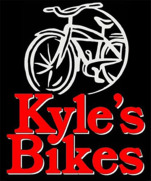 This ride is all about getting outside and having fun with family and friends! We hope to see you out!